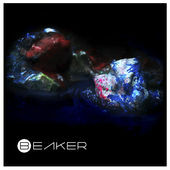 Beaker - Tyler Gilmore (electronics) and Alec Harper (saxophones). Tyler Gilmore is a composer, electronic musician, and recording engineer from Wyoming now based in Brooklyn, New York. He has worked with many musicians, recorded two albums with his ensemble Ninth and Lincoln and composed for various projects. He won the 2009 ASCAP/Columbia College Commission in Honour of Hank Jones and won the ASCAP Young Jazz Composer’s Award in 2008, 2009, and 2010. His music has been performed internationally by groups including Jon Faddis’s Chicago Jazz Ensemble, the New England Conservatory Jazz Composer’s Orchestra, The Henry Mancini Institute Overture Orchestra, and others. 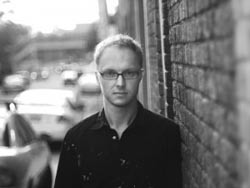 His work is published by UNC Jazz Press and Minor Ninth Music. Tyler attended the University of Northern Colorado and the New England Conservatory, and is now based in Brooklyn, NY. 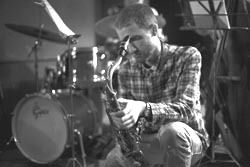 Alec Harper plays regularly with the London City Big Band. He graduated in 2012 with a First Class BMus (Hons) in Jazz Performance from the Guildhall School of Music and Drama (London). 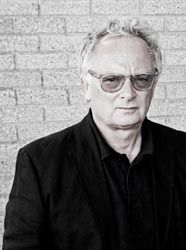 In 2010 he received the Young Performers Award from UK Jazz Radio. Upon Graduation from Guildhall Alec was awarded a Concert Recital Diploma and won the prestigious Yamaha Jazz scholarship in 2012. Alec has been involved in the London jazz scene for some years now, performing with his own quartet and as a sideman at many venues including The Vortex, The Spice Of Life, Charlie Wrights and Oliver’s Jazz Bar. He recently travelled to Boston USA where he spent a year studying at New England Conservatory, and spent spending time in New York where he worked on the Beaker project with Tyler Gilmore. The Beaker project is experimental improvisation. One of our reviewers, Steve Day, and Alec Harper consider the EP that has emerged from the Beaker project. Alec Harper: Tyler and I formed a strong connection whilst playing together at New England Conservatory in Boston where we were both studying for a Masters degree. We are both influenced by experimental improvised music both acoustic and electric. We are also very interested in electronic groups like Sigur Ross that write songs with an often long feel with rich lush harmony and a soundscape feel. Steve Day: I only listened to this through twice. The first time just listening, the second time writing these words and giving it another hearing. This sounds similar to Precision Electro-Acoustics by David Novak and James Fei (Maestros) who were coming out of Brooklyn, New York way back in 2001. Perhaps it’s in the water in that part of the world. Beaker, a cupful. I wonder whether Alec Harper wants us to review the process or the result? What we’ve got is some interesting white noise masking reeds blowing an approximation, maybe melody, certainly music. But it is not straightforward in any sense at all. The process is computerised cut-up. In the 1960’s The Beat poets cut up paper, this is cut up sound. John Cage cut up both. Alec Harper: In terms of a concept there wasn't really one. Not a concrete one at least. The process of improvisation is what brought us together. Myself on saxophone with all sorts of extended techniques (including playing the horn with no mouthpiece like a trumpet as featured on a lot of the EP). Tyler had sounds patched into a midi keyboard and also used many effects to manipulate or add to my sound, reverb, loops, harmonisers and other techniques and he also works with feedback loops to add layers to the improvisation. We certainly didn't have a vision to create anything completely original or unique and don't believe we have done that, but we want to be true to who we are and feel we had a strong sound together with very similar intentions of direction. It never felt hard to work together! Alec Harper: We started the recording process by simply recording long improvisations together. These tended to be quite long! We then went about choosing sections that we liked, passages that leapt out at us. Some of these sections appear on the record exactly as we recorded them and are labeled Improv 1/2/3 etc. We also took some short sections of improv and deconstructed them, sometimes created loops and added beats and then recorded more saxophone over the top in the form of melodies (like on Song 1). These tracks were all labelled 'Song' as they weren't purely improvised. Steve Day: Track six, Improv 4 is rhythm via controlled static. Track seven, Song 1.5 one long stretched note with interference. Track eight, Improv 5 A bent multi-note final with more electronic dissonant ‘harmonies’. Alec Harper: Putting the EP together was very interesting. We wanted to create one long piece and thought an EP would be a good place to start. We tried to put the different tracks together so the EP would flow and could be listened to in one go but there are a couple of tracks, like Song 2 for instance, which could perhaps be singled out and listened to on their own. Click here for Song 2 with its video from Beaker. Steve Day: Look, I listened to this recording in a safe warm place. I was not under pressure nor was I tense. Had I been in a less positive environment my reaction would probably have been quite different. As it was, I heard an experiment but not what I would call a breakthrough. Beaker, better than no Beaker but others have drunk from this cup before. No reason for Gilmore and Harper not to crackle and pop. So what now? You can’t really do it again, or can you? Alec Harper: We recently performed an EP launch in Brooklyn NY which was great fun and reflected on the EP sound and process with some 'Songs' from the EP performed live (not playing along with the tracks but building them live and playing the melodies with them) and then improvisations that were done there and then. This EP has a mixture of improvisations and beat based songs and we would like to explore both of those ideas more now perhaps creating an album of just songs or just a long improvisation. Who knows but this was our starting point. Alec Harper: With regards to listeners for this album we would like anyone to be able to hear it. I feel the fact there are a few tracks (labelled 'Song' with a more beat orientated approach) mean that it could potentially appeal to people who aren't so used to hearing dense textural improvisations but it is probably an experimental album and not something that would feature at Ronnie Scott's for instance. I think it needs to be listened to with open ears and an open mind and not put in any genre but just received so not trying to latch on to melodies too much or thinking about what is happening but just trying to experience it in a sort of meditative way. It perhaps isn't the best train music but then some people have said they listen to it on the way to work so everyone is different. Steve Day and Alec Harper recommend listening to the EP as a whole and you can click here to sample / download the EP from itunes for £3.99 or the individual tracks separately. Click here for Alec Harper's website: www.alecharpermusic.com : For further information about Beaker, Click here to contact Alec.